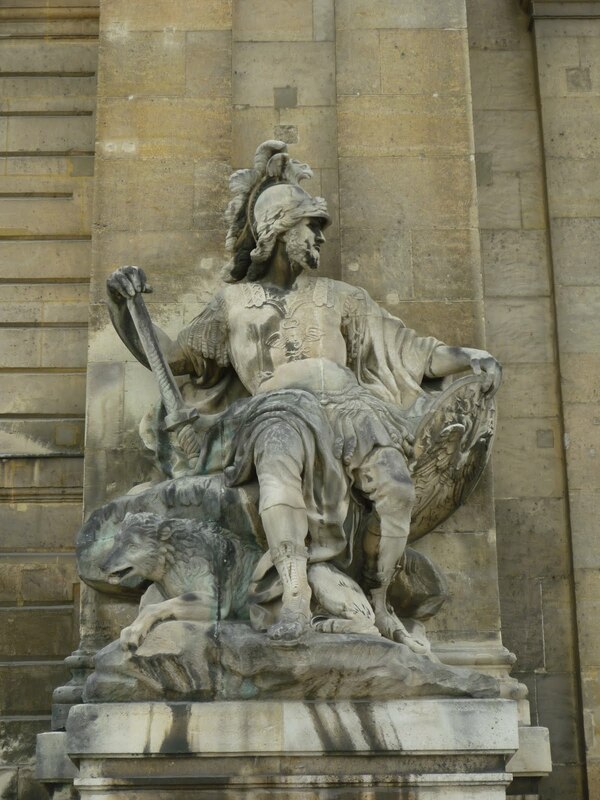 From London to Paris, on a bike, nearly 300 miles in 4 days. 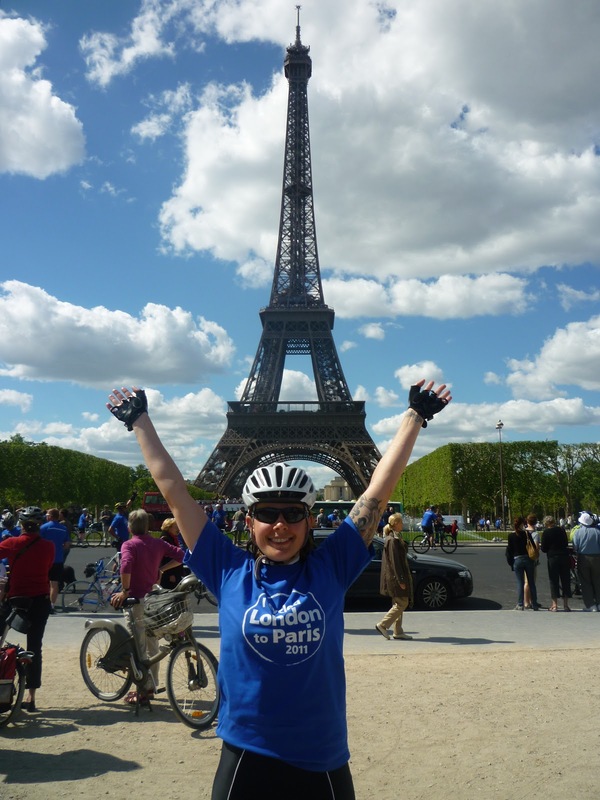 Today we shall let you know just how much Jacqui raised for the Terrence Higgins Trust. What could be better than to end a meal with chocolate? We all ate together; a wonderful way to end an incredible journey. Mind you, the beers did cost 10 Euro each! The next morning there was, on the notice board, a joke by two of the girls on the ride. Each evening, at each hotel, the crew would write out instructions for dinner and breakfast (times/places etc) and give us a brief description of the day to follow. Their favourite word, which we all learned to hate, was 'undulations' so, on the last night (and after a couple of beers) two of the girls wrote their own version. 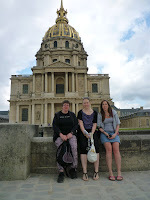 We took a walk to Les Invalides; a fascinating place where Napoleon is buried (so are his two brothers and his son). 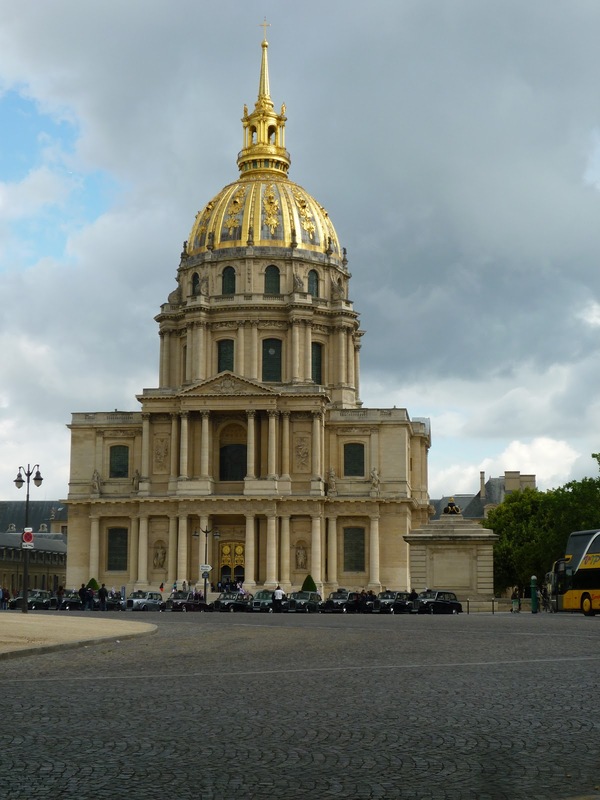 It was originally a hospital and retirement home for war veterans and is the final resting place of Ferdinand Foch (1851-1929) Allied Supreme Commander in the First World War, plus many other French military heroes. 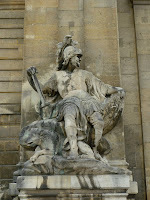 It houses the the military museum of the Army of France and the architecture is breathtaking. 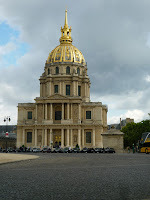 We were heading for the Bistrot Du 7Ème when Colette gave us her finely tuned Irish weather forecast: it was cloudy all morning with no rain then, all of a sudden she said, "let's go inside, it's going to tip it down," and the second we got inside the cafe, the heavens opened! I joked with her and said "how did you know?" and she said "I'm Irish, we always know when it's going to rain." Rain? 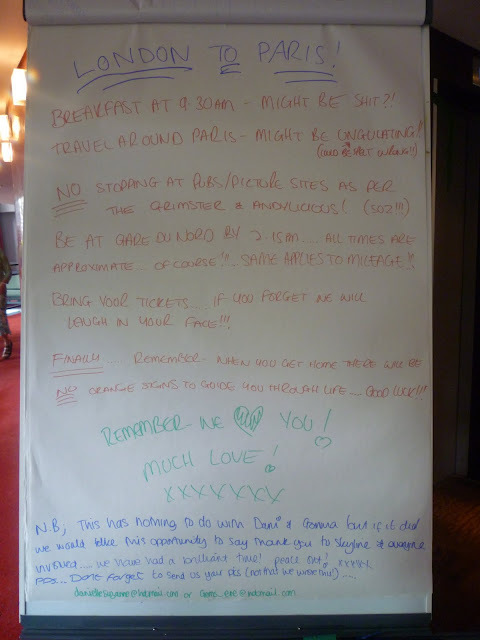 - it was an absolute deluge so we stayed there and enjoyed the best hot chocolate ever (even though it did cost 6 Euros). We needed to be at La Gare du Nord by 2.15 p.m. but had time for another quick beer in the hotel bar before a cab took us to la gare (luxury - we didn't have to use the metro). 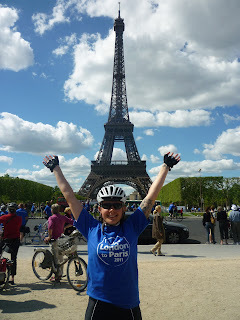 Then homewards on the Eurostar, thoroughly exhausted, elated and, well, damn-well chuffed. Grateful thanks to everyone who sponsored me, bought stuff, and donated. Love Jacqui. 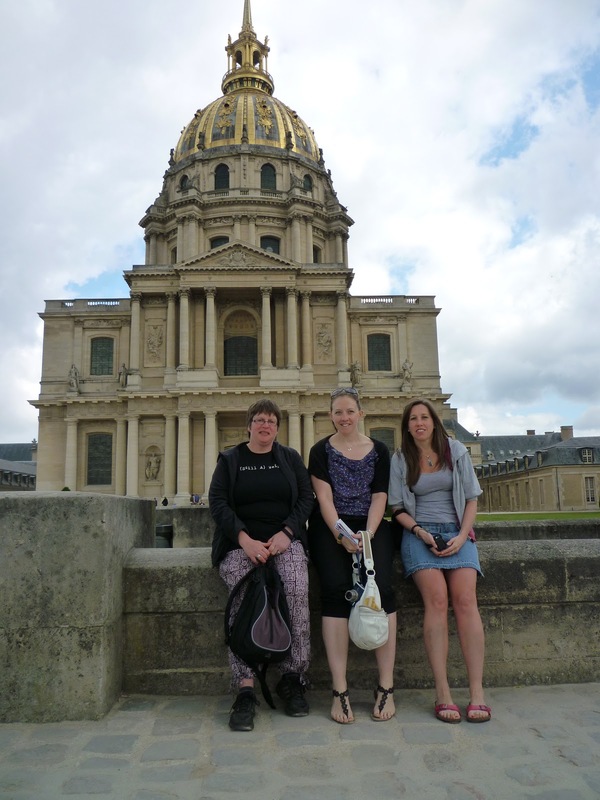 If you have missed any days of London to Paris - on a bike - you can catch up by selecting 'London to Paris' on the right hand side of this page and re-living Jacqui's journey.